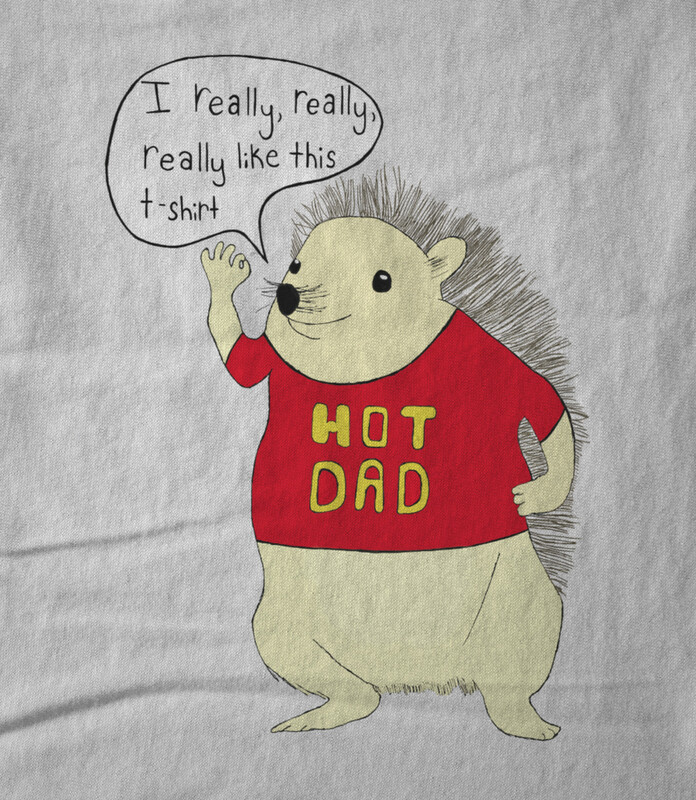 The world's MOST favorite image, branded to advertise a small time comedy musician. 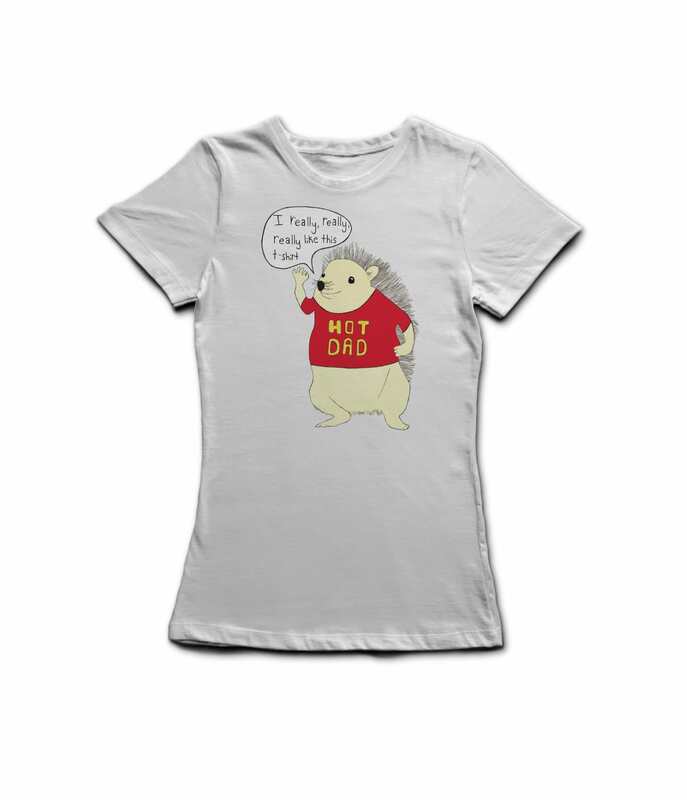 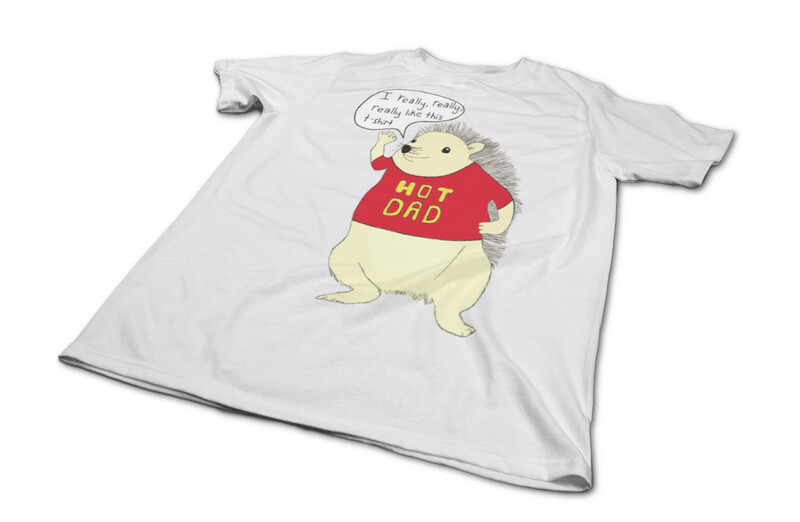 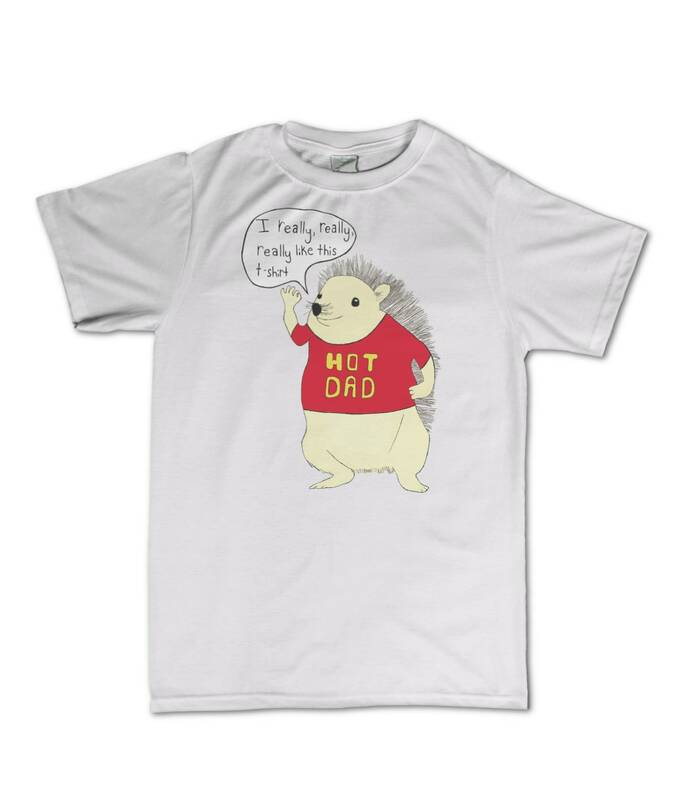 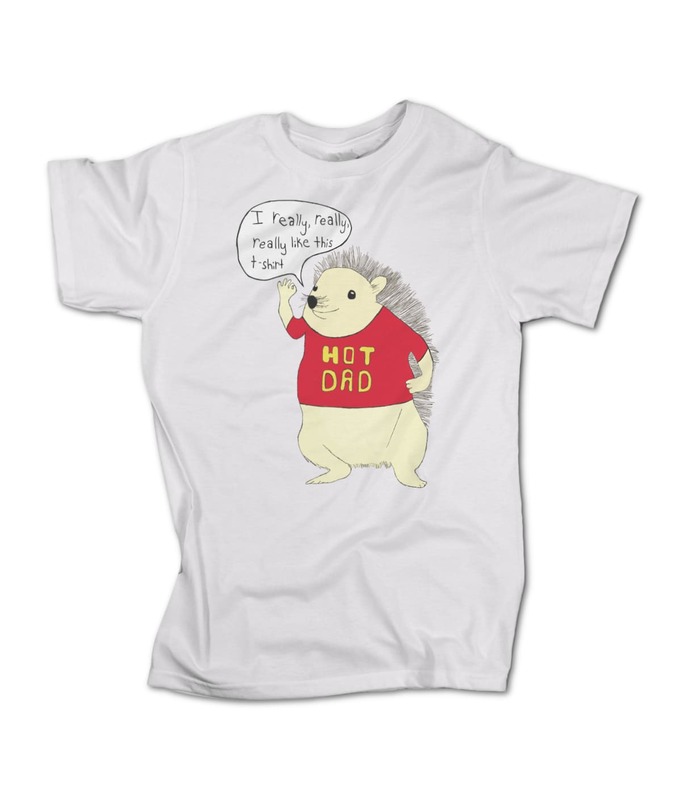 The artist is called Hot Dad, which explains the words on the hedgehog's shirt. 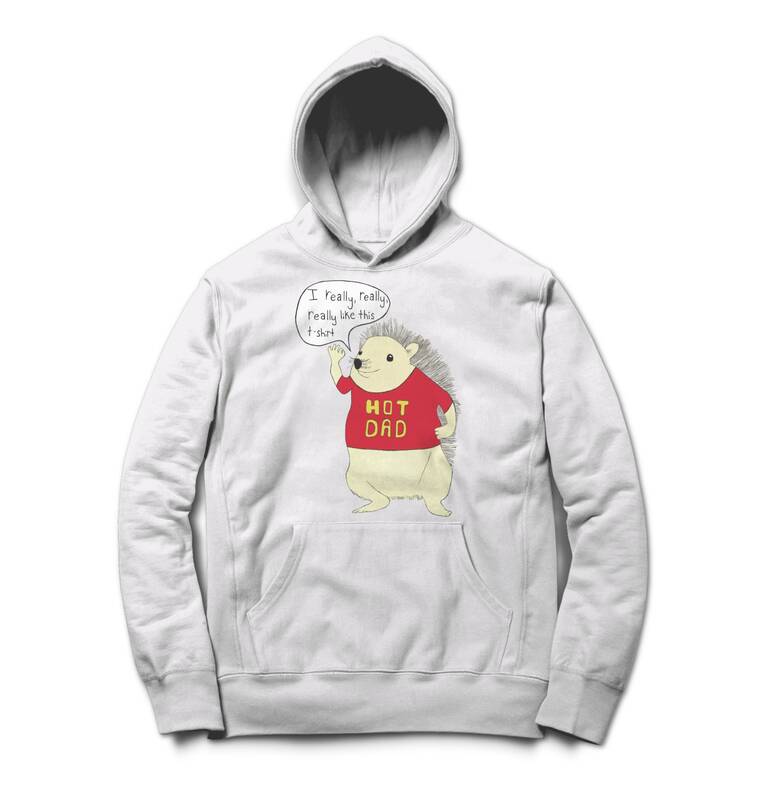 This is the white version!